Pancreatic cancer is a particularly devastating disease. At least 94 percent of patients will die within five years, and in 2013 it was ranked as one of the top 10 deadliest cancers. Routine screenings for breast, colon and lung cancers have improved treatment and outcomes for patients with these diseases, largely because the cancer can be detected early. But because little is known about how pancreatic cancer behaves, patients often receive a diagnosis when it’s already too late. University of Washington scientists and engineers are developing a low-cost device that could help pathologists diagnose pancreatic cancer earlier and faster. The prototype can perform the basic steps for processing a biopsy, relying on fluid transport instead of human hands to process the tissue. The team presented its initial results this month (February 2014) at the SPIE Photonics West conference and recently filed a patent for this first-generation device and future technology advancements. “This new process is expected to help the pathologist make a more rapid diagnosis and be able to determine more accurately how invasive the cancer has become, leading to improved prognosis,” said Eric Seibel, a UW research professor of mechanical engineering and director of the department’s Human Photonics Laboratory. The new instrumentation would essentially automate and streamline the manual, time-consuming process a pathology lab goes through to diagnose cancer. Currently, a pathologist takes a biopsy tissue sample, then sends it to the lab where it’s cut into thin slices, stained and put on slides, then analyzed optically in 2-D for abnormalities. The UW’s technology would process and analyze whole tissue biopsies for 3-D imaging, which offers a more complete picture of the cellular makeup of a tumor, said Ronnie Das, a UW postdoctoral researcher in bioengineering who is the lead author on a related paper. “As soon as you cut a piece of tissue, you lose information about it. If you can keep the original tissue biopsy intact, you can see the whole story of abnormal cell growth. You can also see connections, cell morphology and structure as it looks in the body,” Das said. The research team is building a thick, credit card-sized, flexible device out of silicon that allows a piece of tissue to pass through tiny channels and undergo a series of steps that replicate what happens on a much larger scale in a pathology lab. 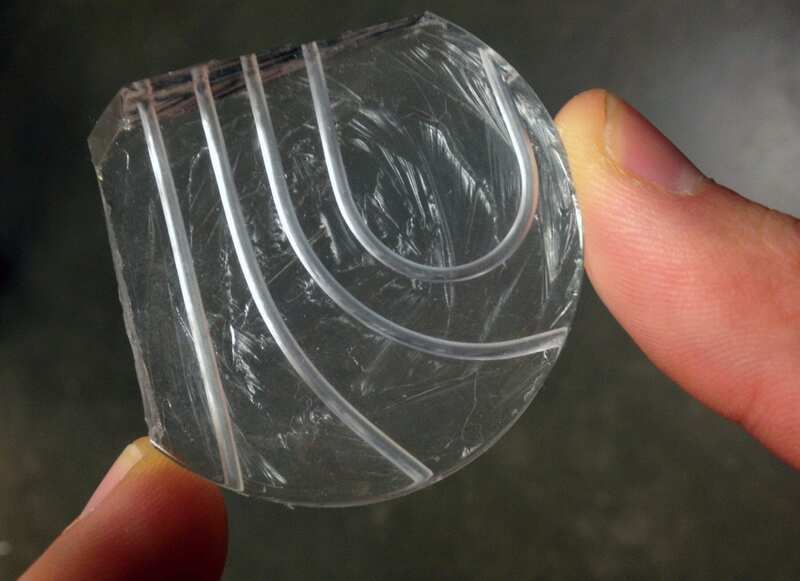 The device harnesses the properties of microfluidics, which allows tissue to move and stop with ease through small channels without needing to apply a lot of external force. It also keeps clinicians from having to handle the tissue; instead, a tissue biopsy taken with a syringe needle could be deposited directly into the device to begin processing. Researchers say this is the first time material larger than a single-celled organism has successfully moved in a microfluidic device. This could have implications across the sciences in automating analyses that usually are done by humans. April 17, 2019 - 'Mami's Message' to raise money for pancreatic cancer research Gainesville SunPancreatic cancer is among the hardest to detect, and hardest to survive. April 6, 2019 - Pancreatic cancer is often deadly, but a new approach is raising hope NBCNews.comSurgeons at the Mayo Clinic are using a new approach to treat pancreatic cancer, a notoriously aggressive and deadly form or cancer. April 17, 2019 - WATCH: 'Jeopardy' host Alex Trebek gives update on his progress after pancreatic cancer diagnosis. 'I'm touched beyond words.' NJ.comTrebek says he will be continuing to work on the upcoming season of the show this September. A blood test for pancreatic cancer that takes less than 1 hour?